Seller will give you a gift certificate in the amount of 2,97 RUB for a positive review of the product purchased. To install ESET Mobile Security, use one of the following options. 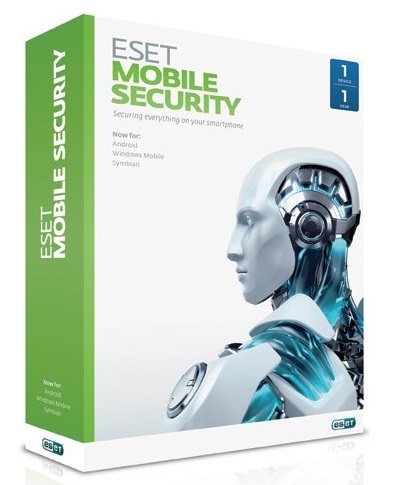 Download the ESET Mobile Security installation file to your computer from the ESET website. Connect the mobile device to this computer via USB or Bluetooth and copy this file to the desired location. Download the ems.apk file by scanning the QR code shown below with your mobile device and a special application such as QR Droid or Barcode Scanner. If ESET Mobile Security is installed manually, click the Launcher icon on the Android home screen (or go to the Home> Menu screen), go to Settings> Applications and select Unknown sources. Find the ems.apk file using an application such as ASTRO File Manager or ES File Explorer. Open this file and click Install. After the application is installed, click Open. After installation, activate ESET Mobile Security according to the instructions in the Activating the application section. To activate the program you need to follow the link and fill out the registration form. After successful installation, you need to activate ESET Mobile Security. Click Activate now on the ESET Mobile Security main screen. ESET NOD32 Mobile Security for Android allows you to freely use the Internet for communication, work, shopping and entertainment, without worrying about viruses, malicious applications and fraudulent operations. It scans all processes and files, analyzes all data received via Bluetooth, WiFi, infrared, GPRS and EDGE. Seller will give you a gift certificate in the amount of 2,97 RUB for a positive review of the product purchased..